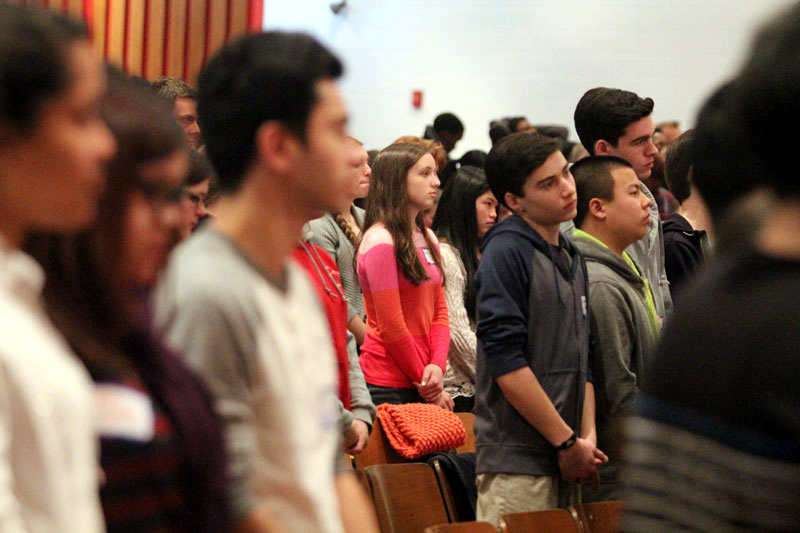 The “Generation Phaith” youth rally drew 300 teens in grades eight to 12 for a day of prayer and reflection on Sunday, March 8 at Archbishop Carroll High School. 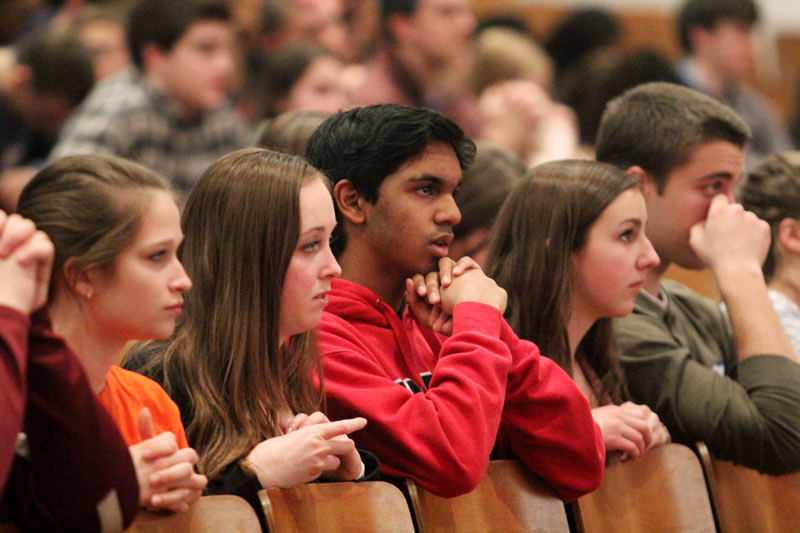 The theme of the day was “Totally Yours!” the motto of St. John Paul II. 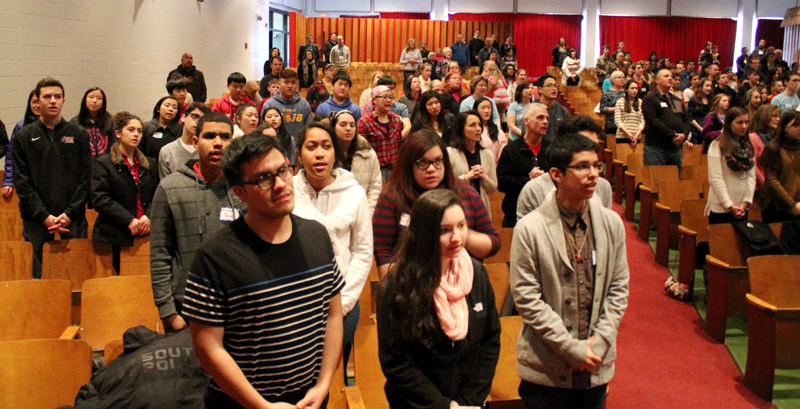 Forty chaperones and 20 volunteer staff including youth ministers, seminarians, missionaries with the Culture Project and three teen ambassadors supported the day’s focus on how teens can experience and participate in the Divine Mercy of Jesus. 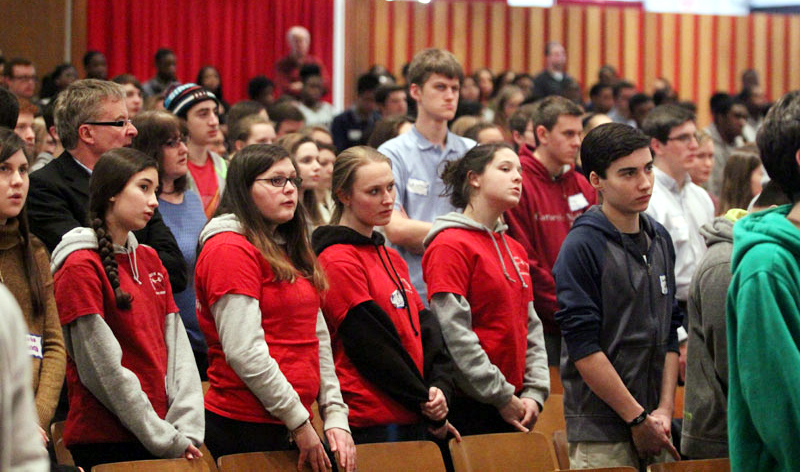 After hearing a keynote address from Father Michael Gaitley, M.I.C., on how mercy impacted his life and led him to consecrate his vocation to Mary, the teens chose one of three workshops: Totally Fearless (St. John Paul II), Totally on Fire (Blessed Mother Teresa) and Totally Selfless (St. Maximilian Kolbe). 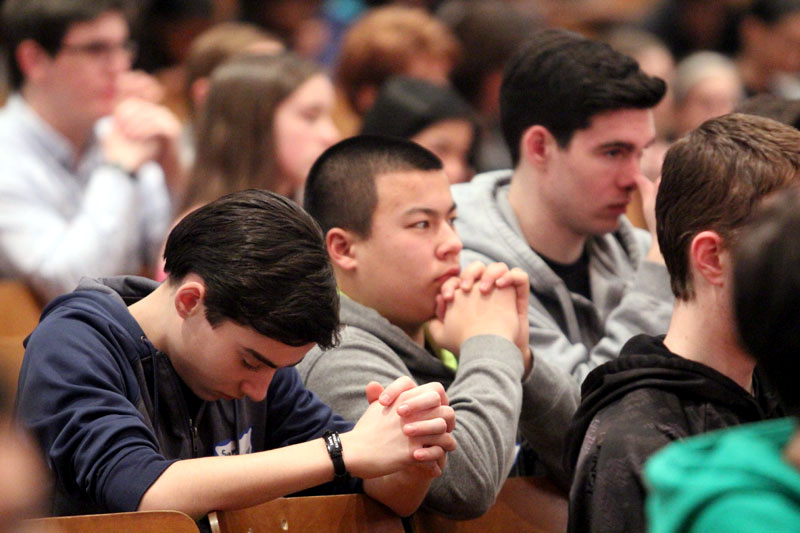 The day included music, a holy hour of adoration led by Father Stephen DeLacy, Mass celebrated by Father Michael Speziale to which the teen’s families were invited and at the day’s end, a consecration to Jesus through Mary. 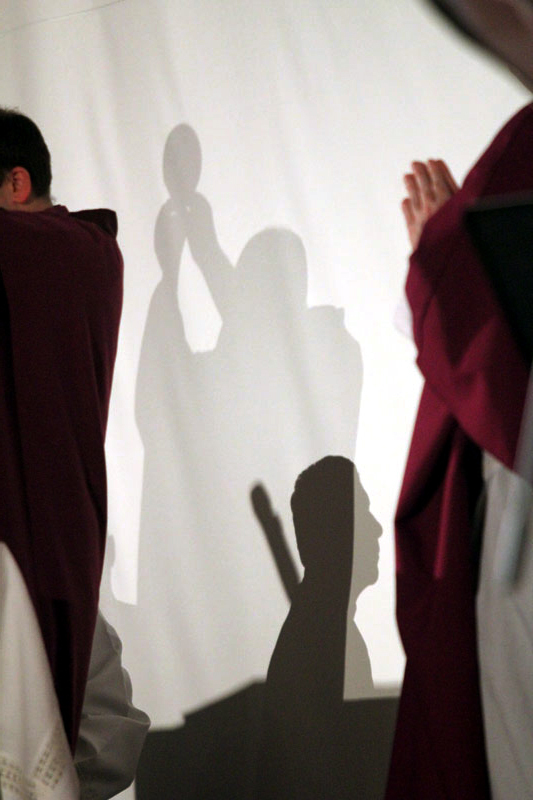 Ten priests present for the sacrament of penance heard confessions from so many teens that the allotted time had to be extended for an additional hour. 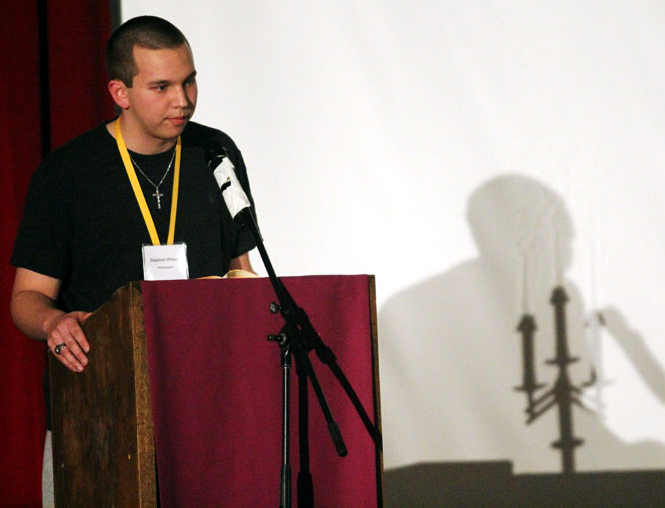 Stephen Pinon proclaims a Scripture reading during Mass. 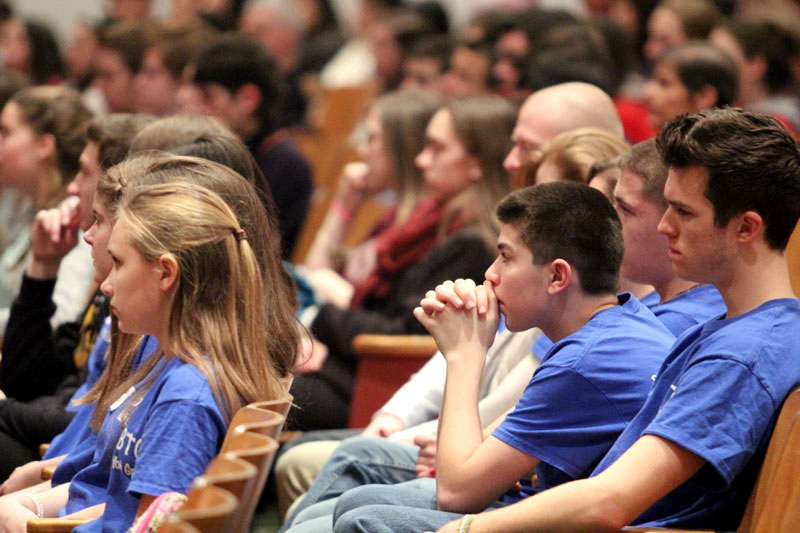 Young people from St. Norbert Parish’s youth group pray during Mass. 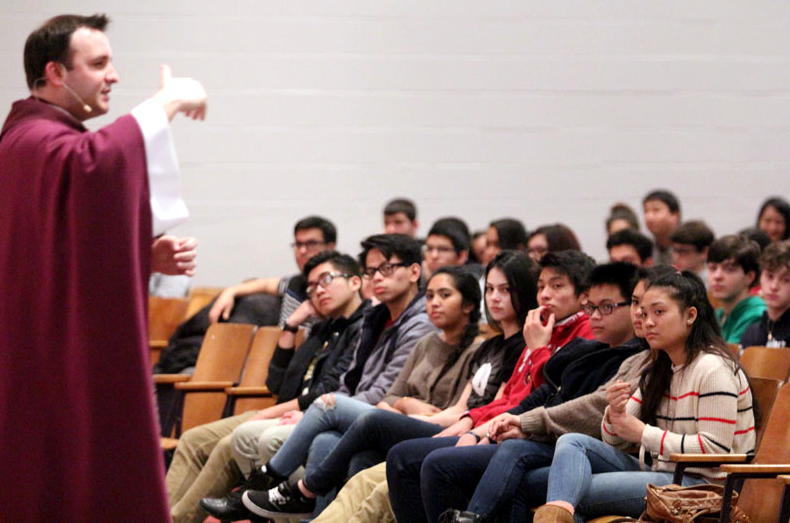 Father Michael Speziale, a theology teacher at Archbishop Carroll High School in Radnor, preaches the homily during Mass. 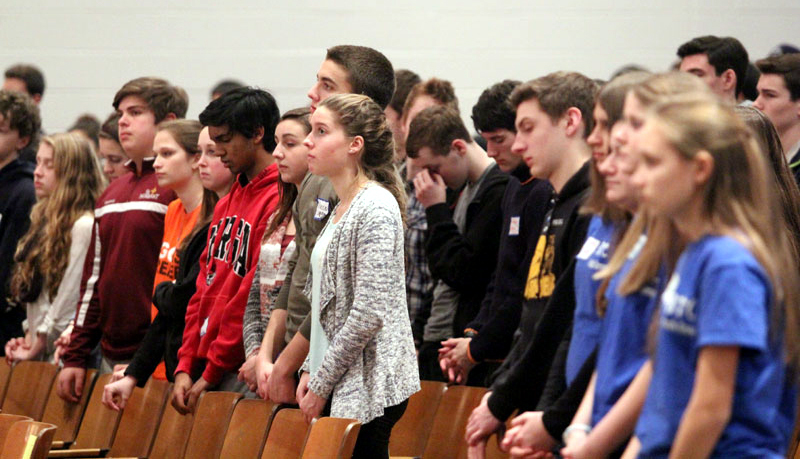 Alex Balkishun (center) prays with friends from the St. Norbert Parish youth group, Paoli. 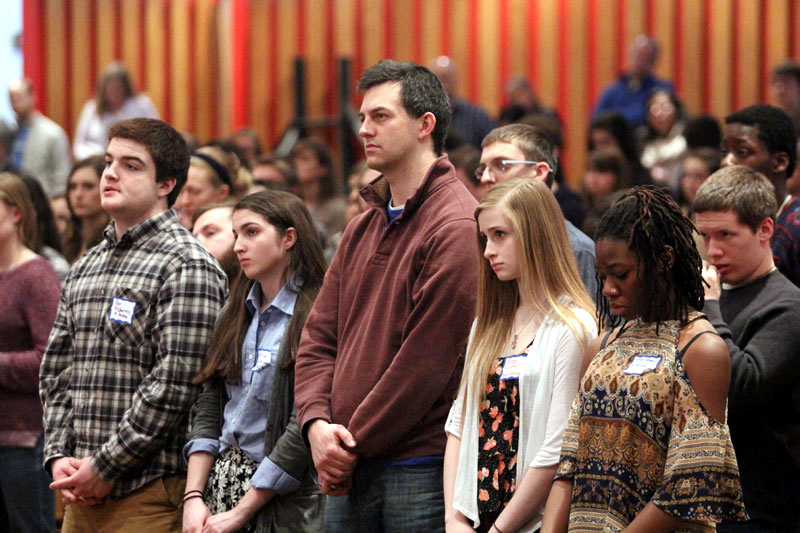 Sam LaGrassa, left, prays along with fellow parishioners of St. Titus Parish, East Norriton. 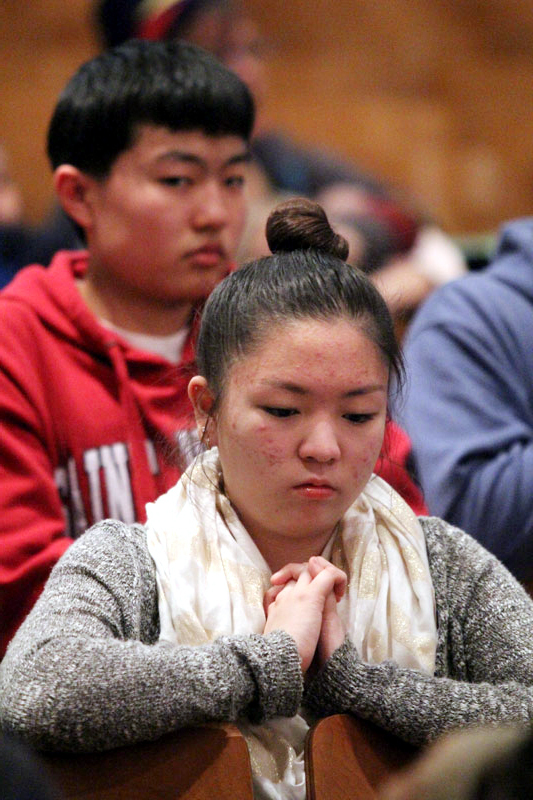 Leah Shin of Holy Angels Parish, Philadelphia. 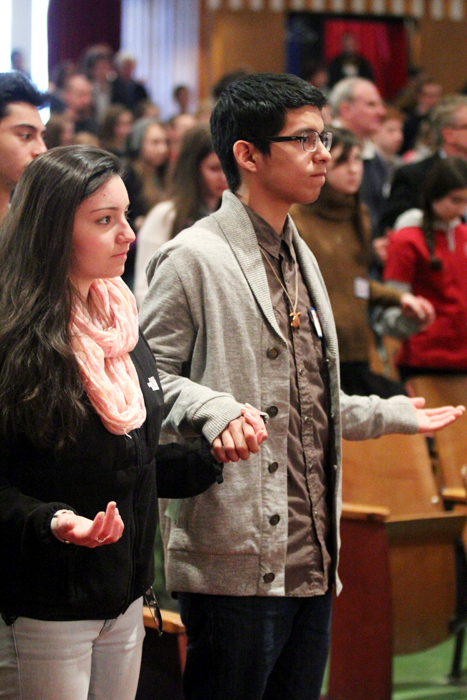 Bianca Flores and Tom Perez from St. William Parish in Philadelphia pray the Lord’s Prayer. 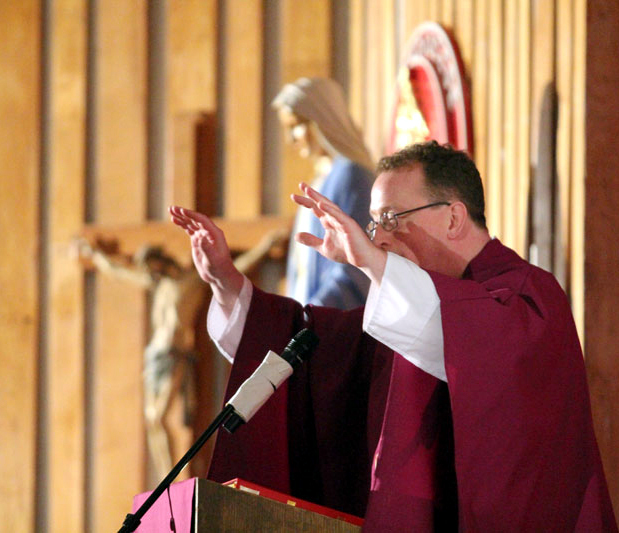 Father Stephen DeLacy, vocations director for the Philadelphia Archdiocese, distributes Communion during Mass. 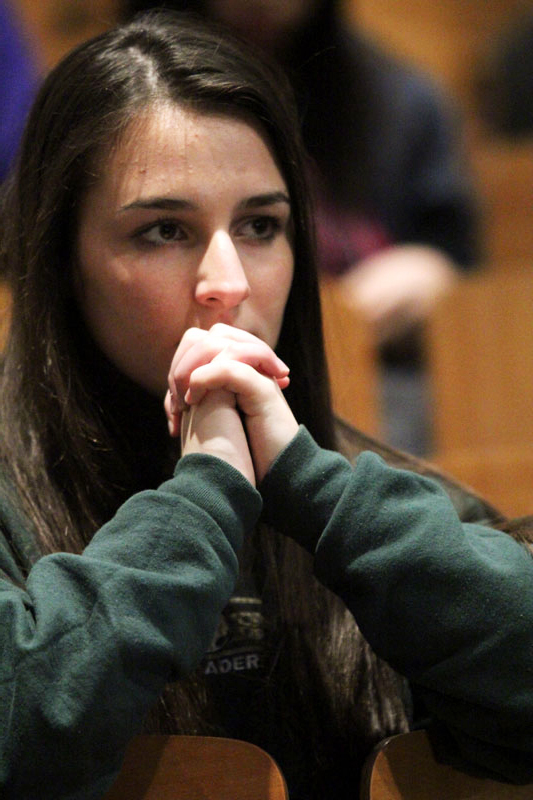 Sara Castagno of Epiphany of Our Lord Parish, Plymouth Meeting. 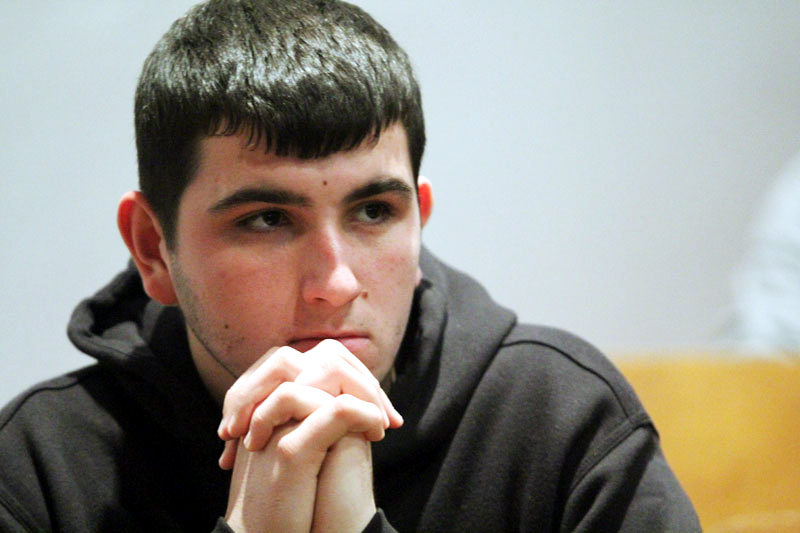 Matt Kozeniewski of Epiphany of Our Lord Parish, Plymouth Meeting. 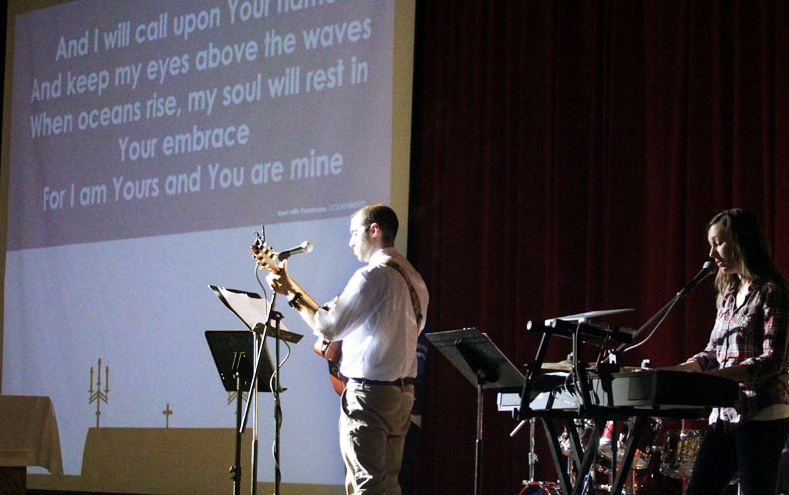 Teresa Peterson (right) and worship band, with Will Panagakos, provided music for the day’s activities and at Mass. 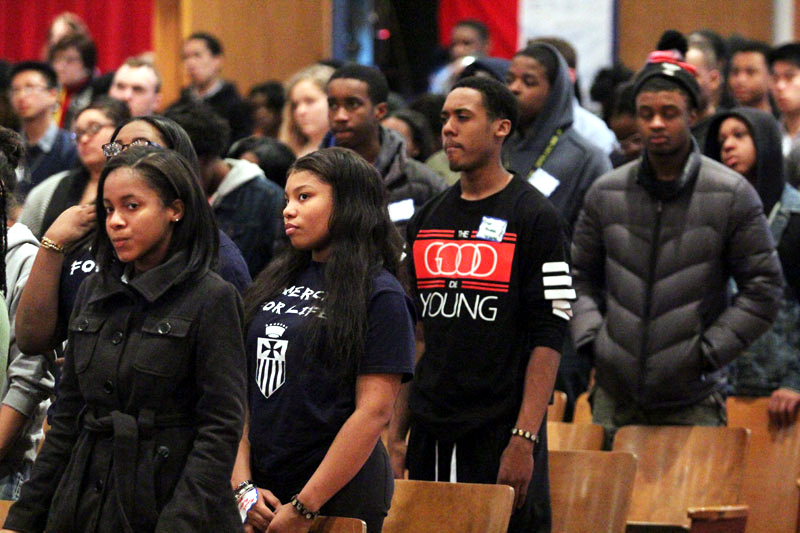 Father Stephen DeLacy blesses all the teenagers considering God’s call to religious life. 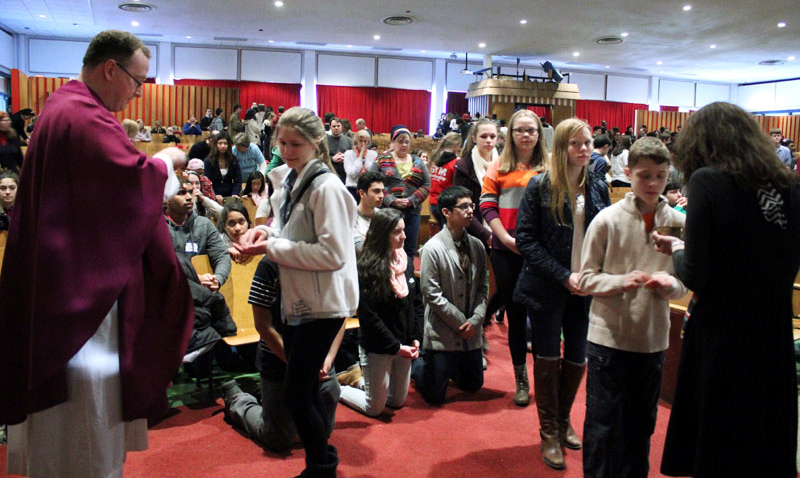 After Mass, participants pray a prayer consecrating themselves to Mary.